Tallahassee, FL. Unexpected illnesses keep many hardworking Americans from working. Nearly two and a half million Americans applied for disability insurance benefits through Social Security in 2015 alone. Of these literally millions of applications, roughly only a third of the individuals that applied were approved to receive benefits. If you intend to apply for Social Security Disability Insurance or Supplemental Security Income programs in Tallahassee or anywhere in Florida, selecting the right disability lawyer to represent you case can greatly improve your chances of receiving benefits in the future. 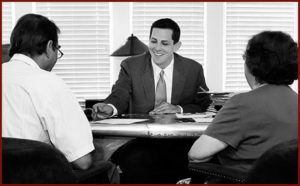 Liebenhaut Law has Tallahassee disability attorneys who have years of experience representing clients in hundreds of social security disability hearings. Use search engines such as Google, Bing, and Yahoo to find Social Security lawyers in your area that specialize in helping individuals out of work due to severe disability and are in critical need of some financial support. I always tell people searching for Tallahassee disability lawyers to look to see what other clients say about their experience with the law firm. Do they have good things to say about the lawyer and staff. Legal referral services such as the increasingly-popular Avvo can also be beneficial in referencing you to an experienced attorney for your case. Websites such as Avvo and Martindale Hubble provide visitors with ratings and reviews of nearby attorneys with contact information. It is so important to call ahead! Call several firms that interest you to make sure you are pairing with attorney fit for your unique case. Before calling, it is a wise idea to have questions prepared specific to your unique case. This will show the knowledge and experience any attorney holds to your specific situation and disability. Calling ahead should also give you a feel for the environment where your vital case will be handled. We pride ourselves on being a disability law firm in Tallahassee where clients are treated with kindness, respect and professionalism. How long did I have to wait to be considered as a potential new client? No person seeking assistance should have to wait more than 24 hours to hear back from somebody wishing to represent him/her. Was the staff confident, considerate, polite, and professional? An attorney’s round-the-clock staff can often be a dead giveaway of the attorney’s reputation. An attorney’s values are reflected in the attitude of his or her staff. Is the attorney handling your case willing to meet with you and speak directly on your unique case? After being accepted as a client and before their hearing in front of a judge, we assure each and every one of our unique clients that we will make the time to give them the opportunity to sit down with the attorney directly handling their case face to face. The attention to each individual’s unique case is what sets the good law firms apart from the best law firms. Every day in our office, you’ll see clients meeting with our Tallahassee disability lawyers and staff getting the attention their case deserves. The attorneys at Liebenhaut Law make an effort to get to know our clients on a friendlier basis than the other lawyers throughout North Florida and South Georgia. With our client’s best interests in mind, we take pride in our preparedness to show our vast knowledge of your disability case and look to assist them in the fight against the long, complex process used by the Social Security Administration. Click here to receive a free case evaluation on your Social Security Disability case from a Tallahassee social security lawyer today!